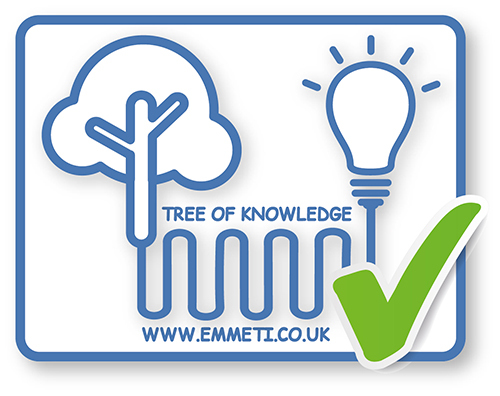 At Emmeti we offer a wide range of zone controls in order to build a comfortable indoor environment including thermostats, time switches, wiring centres and electrothermic heads. These controls enable full electrical control of the heating system when used with our Type 2 or Type 3 manifolds. Using a manifold approach enables independent time and/or temperature control of each individual room or zone in the building. Each room has one or more circuits of pipe connected to a manifold and can be switched on and off by means of a small electrical actuator on the manifold.This means that every room can be controlled separately – each room is a ‘zone’ with its own ‘zone control’. 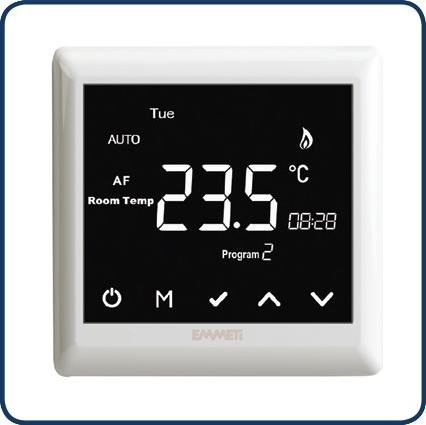 The Emmeti zone control range includes a selection of thermostats to control temperature from simple dial operated types, electronic touchscreen versions and programmable thermostats which combine time and temperature control. Many of the thermostats also have remote sensor options enabling them to be used safely to control bathrooms. The zonal approach allows the home owner or building occupier to tailor their heat to suit their lifestyles. The use of a thermostat per room/zone makes it much easier to create ideal comfort levels and prevents the unnecessary heating of unoccupied rooms improving the energy efficiency of the building by up to 40%. (Research carried out by TACMA (the BEAMA Controls Group) at Salford University). 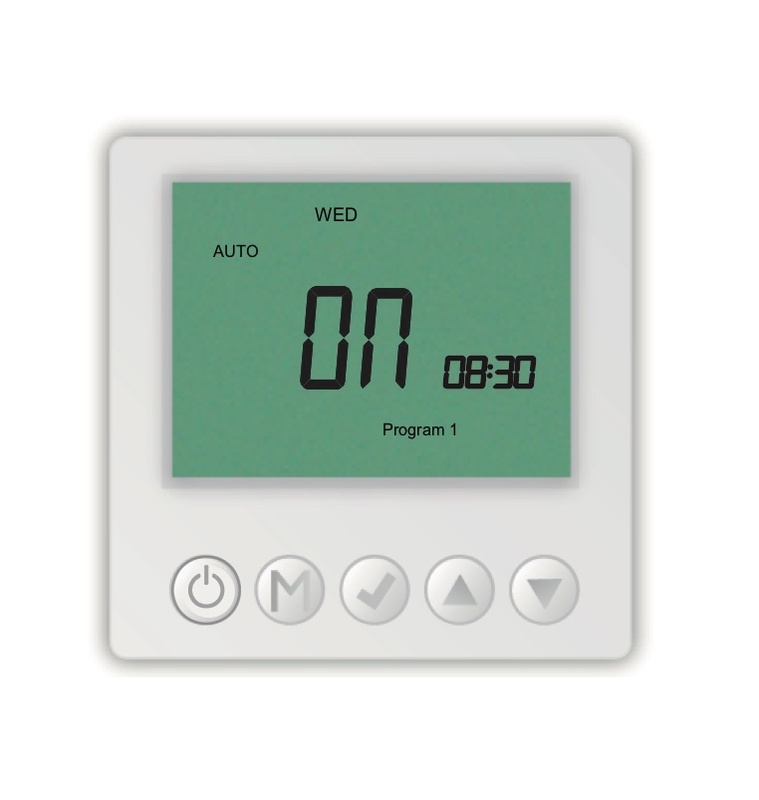 The CS-11 range includes a digital programmable, simple night set back (NSB) and touchscreen thermostat with large LCD screens designed to offer maximum functionality whilst remaining simple to use. Included in the range is a digital, single channel timeswitch for central control of multiple rooms/zones. 24V version of CS-11 range will be available in Autumn 2015. Our 230V and 24V electronic and mechanical dial stats are a cost effective option with night set back function and tamperproof versions also available. Included in our controls range are 230V and 24V wiring centres. The wiring centre is designed to provide central electrical control to all system components including room thermostats, electrothermic heads, manifold pump and boiler. 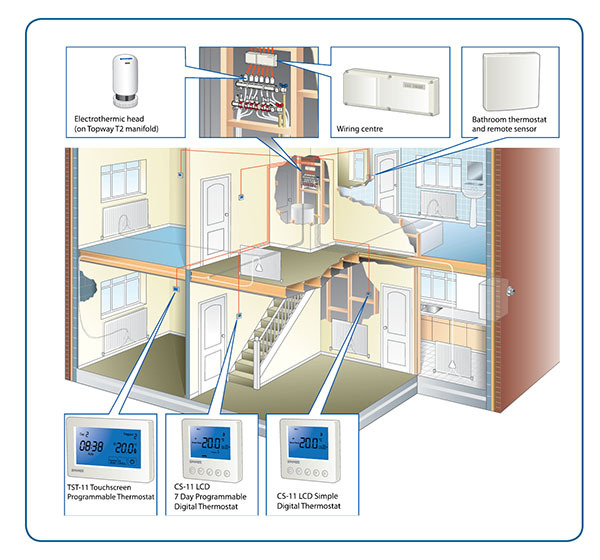 The compact wiring centres, able to control up to 12 zones include individual channel terminals which allow the room thermostat to signal to the electrothermic head to open and also to switch the pump and boiler on, when there is a demand for heat. An electrothermic head is, essentially a 2 port zone valve that opens and closes the port to the underfloor loop when energised by the room thermostat. The electrothermic head is fitted to the return manifold bar and are available in 230V or 24V versions, with auxiliary switch also available to provide an electrical interlock if required. Where installation of electrical cabling is not suitable or for retro-fit systems we offer a wireless range of controls to control the heating system. Because underfloor heating operates at a low floor temperature, usually between 30oC to 50oC, unless a low temperature heat source is used, the water temperature is mixed to reduce the water temperature to the right level. Weather compensating controls allow the water to be reduced to this lower level but also varied within a suitable range to suit the outside weather conditions. For example, when it is cold outside the water is allowed to rise to the maximum permitted temperature for the floor system; when it is warmer outside the water temperature is reduced to a lower level to satisfy the reduced needs of the system. This means that the system both feels more comfortable and is also more economical as the heat source is used less to meet the lower water temperature in milder parts of the winter.